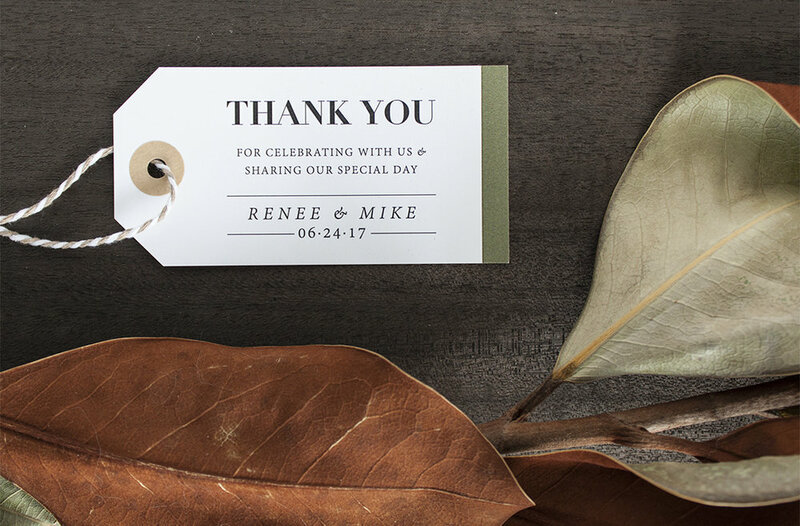 We kept it simple with this suite - bold eye-catching and vintage inspired type paired with beautiful olive green touches. This refined approach is so calming yet universally appealing and easily translated throughout a variety of day-of items: menus, signage, table numbers and even thank you tags that were placed on champagne favours for guests. Congratulations Renee and Mike!